Rustic Farmhouse Sideboard Buffet. Each one is hand painted and distressed, so each one will be slightly varied in finish. 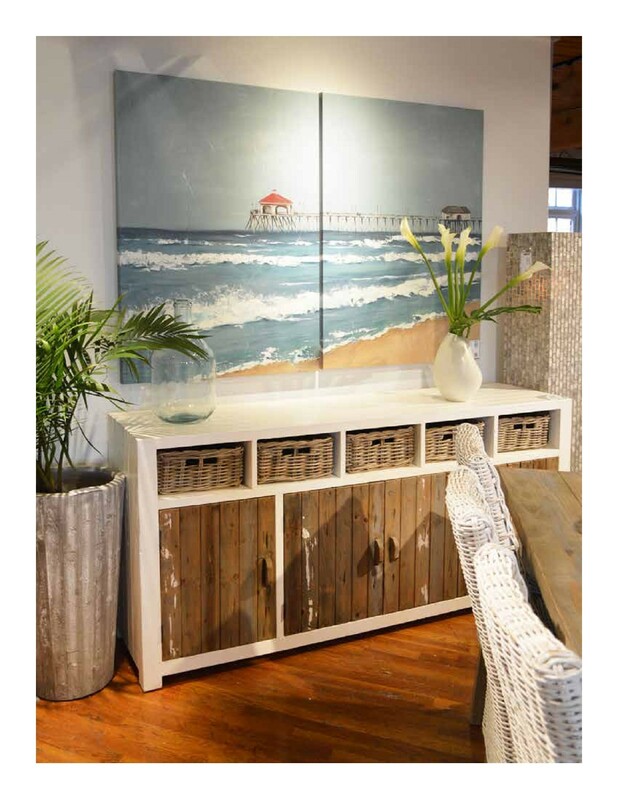 Made of reclaimed pine wood and it features a gray vintage distressed white paint. Functional and chic, with 5 removable baskets and 3 internal shelves in each cabinet.